Over the weekend the team from Eurogamer have published a four hour gameplay video providing a good look at what you can expect from the latest Fallout 4 Far Harbor DLC which is now available to download and play. The Far Harbor DLC is the third add-on forHugely popular Fallout 4 and was released on May 19th, 2016 across all platforms. And allows gamers to explore the island of Far Harbor, off the coast of Maine. The add-on starts off when the player character listens to Valentine’s Detective Agency after completing the quest Getting a Clue. Arriving at the office, Ellie Perkins will tell Nick and the Sole Survivor to investigate the case of Kasumi Nakano – the missing daughter of a fisherman living beyond the northeast boundaries of the Commonwealth. A brief investigation at Nakano’s house will tell the player character that Kasumi believes herself to be a synth replacement, and that she’s decided to leave her parents and travel to a place far north called Far Harbor to be with people like her. 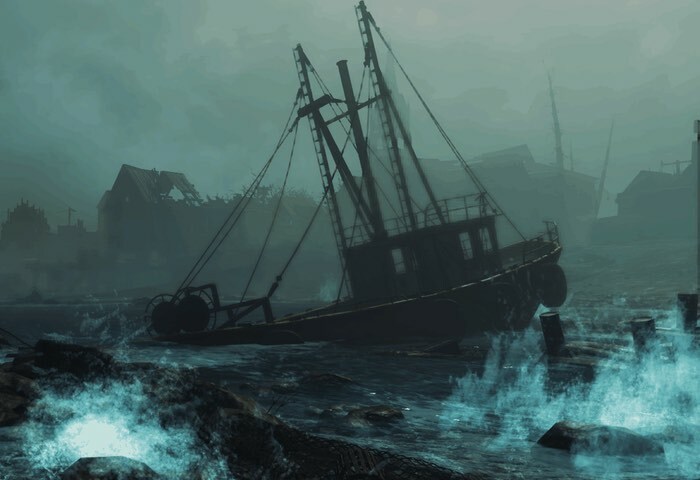 The add-on is set on the island of Far Harbor, off the coast of Maine. There, the Sole Survivor will search for a young woman and a colony of synths. This leads to the fighting between the Far Harbor citizens and the Children of Atom, but a greater plot involves a synth, who has ties with Nick Valentine. Raise your anchors and set sail for a mammoth four hour live stream of Fallout 4’s Far Harbor DLC! Ian will be playing through the first four hours of Far Harbor gameplay so expect to see a bunch of new monsters, weapons and completely unexplored landmass!